This year we have presented our new product. Chevron for rhombus. As the name says, it is special design just for this kind of layering. This product is something that every interior designer knows how to value. For each one of them this will be very special product for special clients. Only people who know the value of oak solid flooring, especialy this designe, will really enjoy this product. 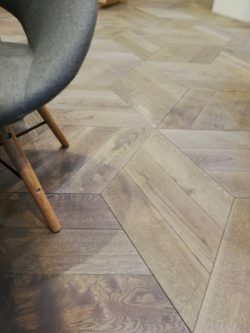 Room with this kind of solid flooring will have noticeable design, and strong character.